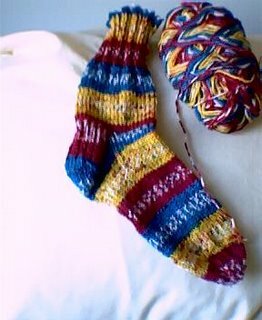 Afghans for Afghans has issued a call for socks for school-aged children. I have one sock made and am ready to start the second one. The yarn is Simple Stripes from Knit Picks. I believe this colorway is discontinued, unfortunately.